In a semi-derelict cemetery in Opole, a town in Upper Silesia situated in southern Poland, the remains of thirty British soldiers who died whilst on active duty during the post WW1 period 1921 and 1922 languish. There is no memorial and there are no headstones, and until recently, the exact location of the graves within the boundaries of the cemetery was in doubt. Local cemetery records are thin on the ground having been lost in times of turmoil including war and catastrophic flooding. The cemetery itself has been in a state of decay for some time. A portion of it had been lost when a road was built in 1935 linking a new bridge over the Oder to the town centre. We also have to take into account that fact that this area has changed hands several times in the recent past, and in particular, under the post-WW2 Communist government, there was an aggressive policy of ‘Polonisation’ when German names of towns and villages were changed to become Polish, and anything remotely ‘Germanic’ was to be eradicated. At this time a huge proportion of the German graves in the cemetery were vandalised or destroyed. There have been no new burials in the cemetery since 1968. British military records relating to this period are scant, compared with those relating to WW1, but what we do know is that post-WW1, there was a lot of buck-passing within the military establishment when the matter of responsibility for the maintenance of the graves of these men was raised. Files held in The National Archives show an almost complete lack of respect and compassion (with the exception of one letter) for these men who served their nation with honour, and, through no fault of their own, remain forgotten heroes. According to British and German records, there were forty one British military burials in the cemetery (plus two British civilian burials). Here’s the rub though: World War 1 was officially deemed to have ended on 31 August 1921, and all deaths after that date fell without the remit and responsibility of the Imperial War Graves Commission. In February 1925, the remains of the eleven men who had died before the cut-off date, were exhumed and re-interred in the IWGC cemetery in Stahnsdorf, South-Western Berlin. They are all honoured in an immaculately maintained cemetery with headstones and all appear in The Roll of Honour of British Fallen. Our 30 remaining ‘Upper-Silesian’ men have been, until now, largely forgotten, certainly by the British Establishment. We have to ask ourselves, ‘why were our men in Upper-Silesia in 1921 and 1922 in the first place?’ Briefly, the answer to this is that within the provisions of the Treaty of Versailles that was signed in 1919, Germany was stripped of about 25,000 square miles (65,000 km2) of territory and nearly 7,000,000 people. In Eastern Europe, Germany had to recognize the independence of Poland and renounce "all rights and title over the territory". Portions of the province of Upper Silesia that was ethnically divided between peoples of Polish and Germanic descent, were to be ceded directly to Poland, with the future of the rest of the province to be decided by plebiscite. The border would be fixed with regard to the vote and to the geographical and economic conditions of each locality. The Inter-Allied Commission for Upper Silesia was formed in 1920 comprising of representatives from France, Britain and Italy to administer the plebiscite that was to take place in 1921, and the newly created borders that would result from the outcome of the vote. A military force was assembled, and the boots on the ground, were supplied primarily, by the French, with troops from the British Rhine Army and Italian forces arriving in greater numbers in 1921. Inter-ethnic tensions by this time were high within the population, resulting in a great deal of unrest and violence between the people. There was also some mistrust and antagonism shown towards some sections of the military personnel of the Inter-Allied Commission who were largely employed as a ‘peace keeping’ force. An excellent and detailed account of the formation and activities of the Inter-Allied Commission for Upper Silesia (in particular the British effort) can be read in “The British Upper Silesia Force [‘UpSi’ Force]: May 1921 – July 1922.”, a paper written by Alun M. Thomas of the University of Birmingham, Centre for World War 1 Studies. According to British records, none of the deaths that occurred were ‘on the battlefield’ although it could be argued that four of the deaths were as a direct result of gunshot wounds received whilst on active ‘military’ duty. They are all recorded as the result of disease, illness, suicide, accident and murder. However, they all relate to the conditions in which the men found themselves, i.e. serving His Britannic Majesty’s Government on Foreign Service in a volatile and dangerous theatre, where their primary objective was one of maintaining peace, law and order under extremely difficult circumstances. Two of the above, Selvester & Waknell, were killed. Selvester was shot by a German machine gunner whilst on patrol in Grossstandisch, and Waknell was shot in a scuffle in a café whilst searching for a hidden arms cache along side French troops. Both were awarded the Croix de Guerre posthumously by the French Commander, General Le Rond. Watkins, poor chap, a despatch rider in the Signals was killed in a motorcylce road accident whilst driving to DHQ to deliver his de-mob papers. He was due to join civvie street the very next day. The rest died variously including drowning in the Oder, an accidental gunshot, suicide and, one assumes, illness and disease. “During the occupation of Upper Silesia by the Inter-Allied Powers, 30 British soldiers were buried in the local communal cemetery in Breslauer Strasse (War Graves Division). The General Headquarters of the British Army of the Rhine paid RM 150:- annually towards the maintenance of these graves. According to your letter November 26th, 1929 – 133/29 – you expressed your willingness to continue these payments. “We will communicate with you as soon as a decision has been received from England respecting replacement of the wooden crosses”. Since the above communication, a further year has elapsed during which time the crosses have deteriorated so much that their replacement can no longer be postponed. We intend, therefore, to provide these graves with cast-iron crosses, possibly in the course of the year. For this reason we require exact details regarding the dead soldiers in respect of Christian and surnames, rank, regiment and date of decease. We enclose herewith a copy of an extract from the register of our cemetery authorities and beg to request that this may be corrected, or that we may be furnished with a new list in which these corrections are embodied”. On principal, it seems scandalous that the graves of British soldiers, who, owing to the exigencies of the service, cannot be buried in ordinary military cemeteries, should be allowed to fall into disrepair in cases where facilities for their maintenance exists. a)The graves are in a foreign civilian cemetery, where their condition, if neglected, will contrast unfavourably with their surroundings and bring discredit on the whole British nation. b)Last year the Town Council of Oppeln, after trying in vain for a long time to induce the War Office to renew the rapidly rotting wooden crosses over these graves, offered itself to replace them with cast-iron crosses, and the Army Council gladly accepted this offer (Flags “A” and “B” in War Office Jacket No. 0154/7159). It would hardly be polite, (if not quite impolitic) to refuse now to maintain the graves. c)The distinction between the 30 dead still in Oppeln, and the 11 who were removed by the War Graves Commission to Berlin, seems a purely arbitrary and ridiculous one. All 41 were engaged on the same foreign service; none of them were battle casualties; yet because the war is reputed to have continued until 31st August 1921, 11 of them are honoured as killed in action, while 30 (whose only fault was that they served longer before dying!) are to be neglected with dishonour. Pte. Arthur William FARRELL, M/19911, Royal Army Service Corps died 6th July 1922. The headstone in the large photo is over the grave of Sgt Joseph Storer, and the one in the background along with the private memorial is over the grave of Pte Nathanial Murdagh of the 2nd Inniskillen Fusiliers. Like the 11 who were re-interred in Berlin, the cause of death of our 30 men remaining is varied. The 4 Irishmen; Foran, Keating, Murphy and Shally who died on 11th February 1922 were all shot by a deranged colleague who ran amok in the mess hall; Sgt. Storer was an intelligence officer who was murdered by Polish nationalists (who were caught and put on trial); Pte. Farrell was killed while trying to separate a French soldier and a German who were fighting; Bmbr. Powrie who had been awarded the Military Medal at Gallipoli and had been wounded during WW1 committed suicide, probably as a result of what we now know as PTSD. As for the others, all we know is that they are dead, and as rather poignantly, but prophetically predicted by Brigadier Temperley in 1929. As early as June 1921, when the Troops were on the ground and still dying in Upper Silesia, questions were being raised within the military and the IWGC as to what to do with the deceased. Your C.37/3. This question is under consideration”. A perfect example of procrastination and lack of decision making. The D.G.R.& E. (Director of Graves Registration & Enquiries) has raised the question of the responsibility for the Registration of Graves in Silesia. The D.G.R.& E. has actually been carrying out registration In Silesia and presumes this is right. I have always considered this to be the duty of the D.G.R. & E. as it is not “Occupied Area” in the same sense as the Area occupied on the Western frontier of Germany. The graves in Germany are at present being cared for by the German Authorities. Reports received show that all graves are maintained in excellent order and there is no reason to suppose that those at Oppeln are any exception to the rule. The total number of graves at Oppeln is 15, of which 11 appear to be “war graves”, the remaining four being post-war graves. No final decision has yet been arrived at regarding the disposal of the 11 war graves, but it is anticipated that they will be eventually concentrated into a cemetery in the neighbourhood of Berlin. When concentrating the war graves, it is possible that the Commission might as a matter of convenience consider a request by the War Office to remove the non-war graves at the same time as the war graves, and to the same cemetery, on the reimbursement of the expenses incurred and on condition that they are to be re-interred in a plot distinct from the war graves themselves, as the Commission could have no responsibility for future maintenance”. I have the honour to inform you that the Inter-Allied Commission in Upper Silesia have raised the question of the exhumation and the transporting to their native country of the bodies of soldiers of the Allied Forces in Upper Silesia, who have died or been killed while serving in that country, the cost to be included in the expenses of the Troops of occupation and to be paid out of local Treasury of Upper Silesia. The General Officer Commanding, British Upper Silesian Force, was not in favour of the proposal in so far as the bodies of the deceased soldiers of his Force were concerned, but considered that the matter should be referred to the Imperial War Graves Commission. I attach a nominal roll of deceased Officers and Other Ranks of the British Upper Silesian Force interred in the cemetery at Oppeln, from which it will be seen that a proportion of these graves are “War Graves” and as such come under the charter of the Imperial War Graves Commission, while those of men who died after 31st August 1921 do not come under this charter. It is submitted that if the Army Council is in favour of the above proposition the easiest procedure would be for the bodies of all British soldiers, irrespective of the date of their decease, now buried in the Cemetery at Oppeln, to be exhumed, taken to Cologne and reinterred in the British Military Cemetery, Sudfriedhof, Cologne, under arrangements to be made by the Imperial War Graves Commission. The question then arises as to the responsibility of the IWGC for graves of soldiers dying subsequent to 31st August, 1921. The matter of the care of the graves in the Sudfriedhof Cemetery, Cologne, of soldiers dying after this date was referred to the War Office under my 8966/A of 24th November, 1921, to which no reply has yet been received. I am personally not in favour of the exhumation of the British Soldiers in the Cemetery at Oppeln: but if the Army Council considers it desirable I beg to request that the IWGC may be approached with a view to ascertaining if it is prepared to undertake the work of exhuming the bodies of all British soldiers interred at Oppeln Cemetery, transporting them to Cologne, and reinterring them in the British Military Cemetery, Sudfriedhof. “Reference this office letter No. 7885/2/A of 7th January 1922, regarding the exhumation of British soldiers, who have died or have been killed in Upper Silesia and buried in the cemetery at Oppeln, and transporting them for reinterring in the British War Cemetery, Sudfriedhof. This letter was forwarded to the Secretary, War Office, who forwarded it to you for favour of a reply being sent to this Army direct. “…The question whether the Imperial War Graves Commission within the purposes of its Charter the graves of soldiers dying after 31st August, 1921, while forming part of the Troops in Military occupation of a Foreign country, is now under consideration, and until a decision has been taken, I regret I am not in a position to give any definite reply to letter No. C.R.B.A.R. 7885/2/A of the 7th of January. A Committee of this Commission will it is hoped visit Germany next month to decide what will be done regarding those graves in Central Europe which come within its powers”. “No decision has been come to regarding disposal of the bodies of British soldiers in Germany. There are between 150 and 200 prisoners of war or occupation graves that come within the powers of the IWGC, but the Commission has no power to deal with the graves of those who died after 31st August, 1921 of which there are a few. The 150 to 200 war graves will probably be moved to a concentration cemetery in Germany, perhaps to Cologne, but this is not yet settled. It is possible that the Commission might as a matter of convenience consider a request by the War Office to move the non-war graves at the same time as the war graves and to the same cemetery, on reimbursement of the expenses incurred. When the war graves at Oppeln are brought to Berlin the bodies in post war graves could be collected at the same time and then sent by rail from Berlin to Cologne in metal lined coffins for reburial in the portion of the Sudfriedhof, where other post war military burials are taking place. The bodies of post war graves at Oppeln could be brought to Berlin and buried in the same cemetery as that for war graves. The stones placed on these graves would in that case have to be generally similar in appearance to those on war graves as being “conducive”. In either case the cost of exhumation, transportation and reburial could be calculated approximately, as also the cost of construction and maintenance in case of (b), should it be desirable to recover these from the War Office. I do not think there would be difficulty in carrying out either (a) or (b), if War Office Funds are available for defraying expenses are available. And so, after almost a year from the initial request from the Secretary at the War Office, Lord Arthur Browne at the IWGC replied to the Secretary at the War Office on 2nd June 1923. The letter contained the news that no decision had been made and once again passing the buck back to the Army Council! “I am directed to refer to the letter C.R.B.A.R. No 7885/2/A of the 7th January, 1922 from the General Officer Commanding-in-Chief, British Army of the Rhine, to the Secretary, War Office, passed to this Office 9th January, 1922 relative to the exhumation and transportation to their native country of the bodies of soldiers of the Allied Forces in Silesia who died or were killed while serving in that country. It is probable that the Imperial War Graves Commission will concentrate to a cemetery in the neighbourhood of Berlin all those graves that come within their powers. For the purposes of this letter this may be taken to include all the graves of officers and men who died in Silesia up to and including 31st August, 1921. There remain a certain number of graves of officers and men dying in Silesia subsequent to that date over which the Imperial War Graves Commission have no powers. 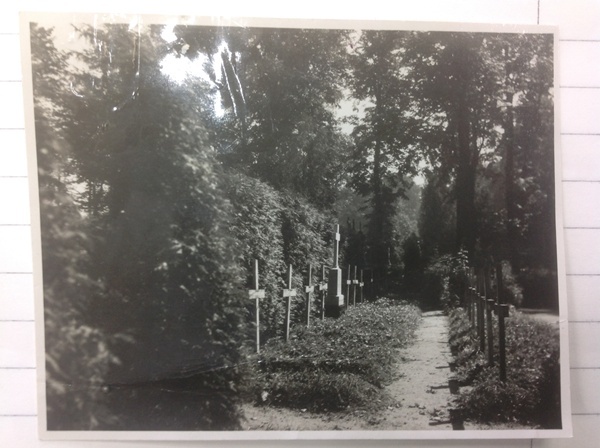 It is possible, however, that the Army Council may desire that these post war graves in Silesia should be moved to a more accessible locality, and as a matter of convenience The Imperial War Graves Commission would be prepared to consider a request to remove them at the same time as the war graves on reimbursement of the expenses incurred and on condition that they are to be reinterred in a plot distinct from war graves, as the Commission could have no responsibility for further maintenance. 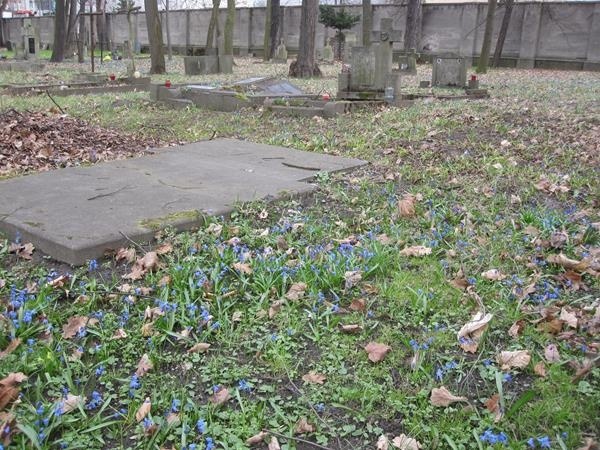 The bodies in post-war graves in Silesia could be brought to Berlin and reburied in the same cemetery as the war graves, but in a separate plot. In either case, the cost of exhumation, transportation and reburial could be calculated and an estimate furnished if desired. I should be glad to know the wishes of the Army Council in this matter”. We know from the correspondence cited earlier in this article that for the next six years no decisions could be arrived at with regard to the graves of the 30 post war graves at Oppeln, and that the cemetery fell into a state of utter neglect. 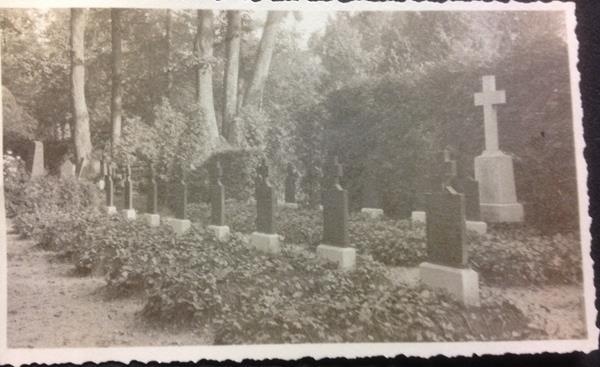 Further research has shown that in late 1930 or early 1931, the German authorities did erect cast iron crosses over the graves and maintained them, and that by arrangement with the War Office the IWGC made inspections of the cemetery in 1932, 1933, 1935, 1936 with the final one taking place on 11 October 1938, since when no department or individual has made any attempt to care for the remains of these brave men. 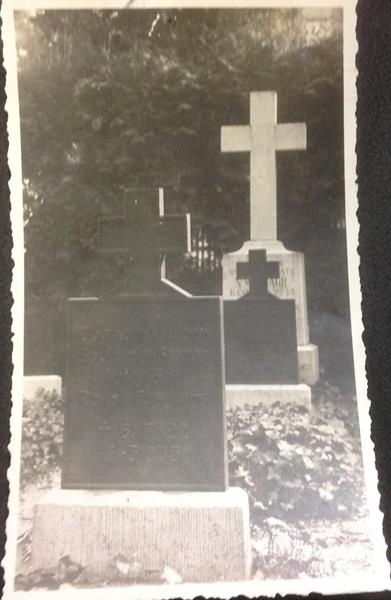 Confirming telephone conversation (Harding – Pallot) I have discovered that before the war we had some responsibility for post-war graves in the above mentioned cemetery in Germany. This town is now in Poland and has not featured in any of the Post War Cemetery Maintenance Schemes. The figures in the pre-war “Chettle” copy of the Cemetery Maintenance Scheme are 41 graves, 41 burials, maintenance total 41. These graves resulted from a special force dispatched to that part of the world after the War to settle a local frontier dispute. Reference to the file shows that our responsibility was a limited one and consisted of one visit a year by a Commission horticultural official to inspect the graves and to produce a report for the War Office. The inspection was normally done in conjunction with a visit to the cemeteries in Berlin. The actual maintenance was done by the German cemetery authorities and the treatment, mounded graves covered with ivy, was the same as accorded to neighbouring German military graves. Can you please ascertain from the War Office whether they desire us to assume responsibility again for the regular inspection of these graves on an Agency basis (now in Poland). I should be grateful if you could let me know in due course the outcome of your enquiries as there is an unfinished correspondence about this cemetery between myself and the Region on the Cemetery Maintenance Scheme net and I should like to tie this up regardless of whether you are independently writing to Regional Director. 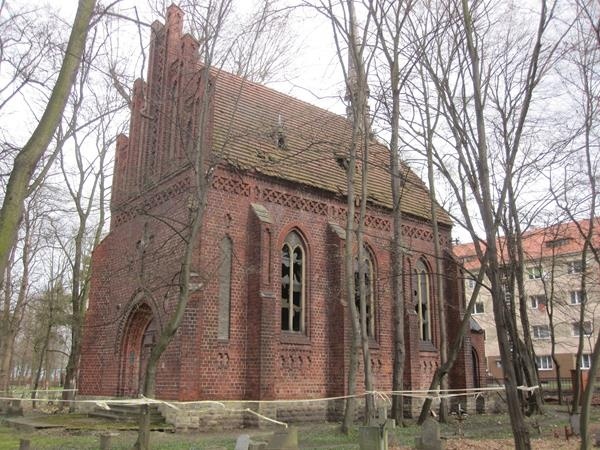 During the course of a review of our commitments in Eastern Europe, we have turned up records of a cemetery in Oppeln, which is now in Poland. This cemetery contains 41 non-war graves of casualties of a special Force sent to that part of the world after the 1914/18 war to settle a local frontier dispute. 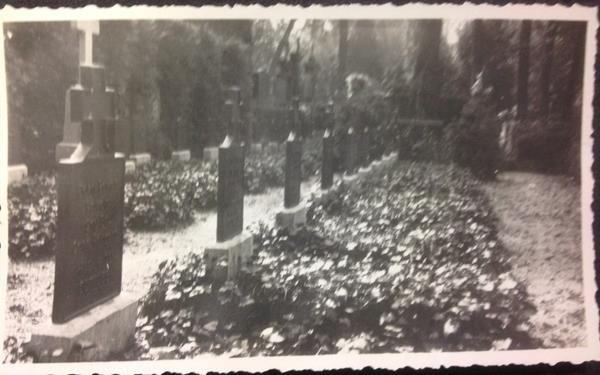 Before the 1939/45 war, the maintenance of these graves, which was then in Germany, was carried out by the German civil authorities and the Commission made periodic inspections on behalf of the War Office, on a repayment basis. Although we have commitments in Poland and our staff have been visiting there in recent years, we have not been to Oppeln, which would mean a lengthy and costly journey. We do not, therefore, know what condition the cemetery is in at the moment, but I thought you’d like to be reminded of its existence. “Soon after the 1914-18 War, a special British force operated in Silicia [sic], then German, of which 41 lives were lost. They were buried in the OPOLE (formerly OPPELN) cemetery, Silicia. Up to the outbreak of the Second World War these graves were maintained by the local German authorities, and periodically inspected by an official of the Imperial War Graves Commission on behalf of the War Office. No record can be found to show whether the graves have been maintained since 1939, and if so, at what standard. Where actually is the location of the graveyard? Is the cemetery used solely for the 41 graves? Or are the graves in a plot of a civilian or military cemetery? Are the graves clearly marked by headstones, or some other marker? Are they well looked after? Is there a record of the personnel interred? “There is only one British cemetery known to the Embassy in this part of the world, namely at KRAKOW. However, they suggest that it is possible that the graves may have been transferred to it from a number of cemeteries in this area, including perhaps the one from OPOLE. Brigadier VALE of the Imperial War Graves Commission (to whom I have sent a copy of this letter) visited these graves in June this year. He may, therefore, be able to assist you further in this matter. “Reference your WG.1640 dated 6th October, 1959, could you please now confirm that, as result of the information that you gave to the War Office, there has been no demand for the Commission to bear any responsibility at all towards these graves. If this is the case there can then be no question of restoring them to the C.M.S. (Cemetery Maintenance Scheme)”. FINALLY, THE BRITISH ESTABLISHMENT HAD BEEN ABLE MAKE A DECISION; THAT BEING TO WASH ITS HANDS OF THE INCONVENIENCE OF THE THIRTY BRITISH SOLDIERS STILL BURIED IN OPOLE WHO GAVE THEIR LIVES SERVING WITH THE COLOURS OF THE BRITISH ARMY.